Did you know that an Arborvitae trees have such a powerful resistance to decay and insect damage that they can live up to 1000 years and large fallen Arborvitae trees can remain sound for over 100 years? The wood can still be salvaged for roofs and other wood products as well. 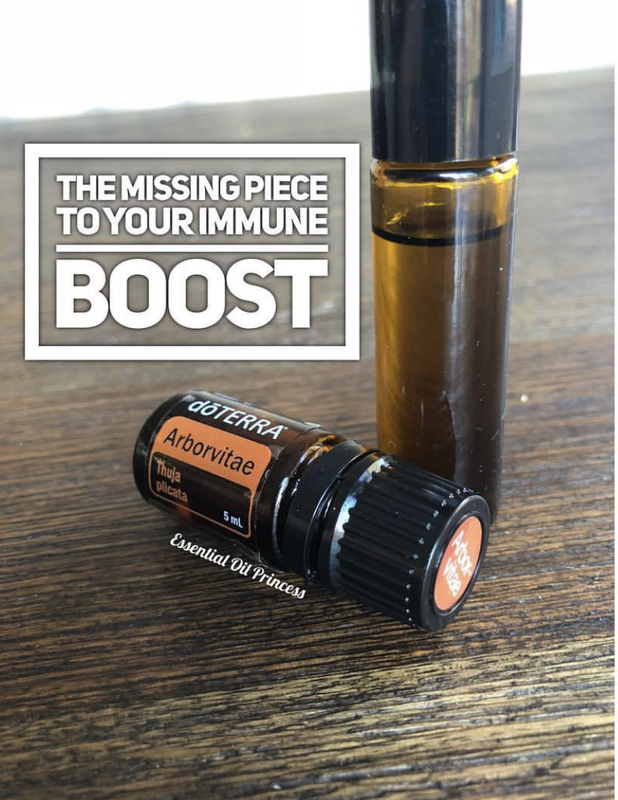 I make up an immune blend for my kids and always include arborvitae oil because it is so great for the immune system. This essential oil contains molecules called tropolones, which have a unique chemicals structure. Most molecules in nature are six-sided; tropolones are seven sided. This makes it so other harmful molecules don’t know how to attack them. The essential oil produced from Arborvitae trees is ideal for using aromatically and topically for cleansing and purifying. Arborvitae oil also makes a great companion for outdoor activity as it acts as a natural insect repellant. Here is a great roller bottle blend that you can use to boost immunity. Apply to the spine and bottom of the feet daily for immune maintenance.